Controversial Issue Topic of the Month: Are We Overmedicating Our Children in Special Education? Description: The Pennsylvania State University, the Altoona College invites applications for a tenure-track position in Special Education beginning in Fall 2008. 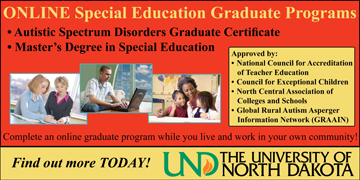 Qualifications include a Doctorate in Special Education or related field. The candidates should be able to teach courses in special education and educational psychology. Research specialization is open. Candidates should have a strong commitment to teaching, research, community service, advising, and working with undergraduates and colleagues in an expanding program. The position requirements include teaching three courses per semester, conducting research, and providing related service. Requirements: The candidates must provide evidence of teaching experience, preferably in diverse settings. Previous experience in K-12 settings and professional development models is desirable. Applicants should present a record of evidence and potential effectiveness in teaching, research, and service. Candidates with a commitment to undergraduate education, interests in undergraduate research, and/or experience in program development will be given strong consideration. Benefits: Penn State Altoona offers a competitive salary and an attractive benefits package. For additional information about Penn State Altoona, please visit our web page at http://www.aa.psu.edu. Prince George’s County Public Schools is the 2nd largest school system in the state of Maryland and one of the largest in the nation. We are a system recognized for placing teaching careers on the fast track, and fervently committed to continuous improvement. 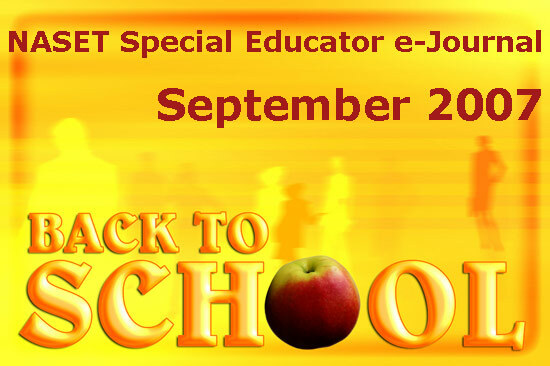 Description: The Omaha Public School District offers opportunities for dynamic Special Education Teachers, ECSE-K Speech Language Pathologist and Speech Technicians who are committed to academic excellence for its diverse student population. This urban school district is recognized for providing quality education for all students. Requirements: Special Education Teachers and Speech Technicians require a minimum of a Bachelor’s Degree and a valid Nebraska Teaching Certificate (applicable level/area endorsement). Speech-Language Pathologists require a minimum of a Master’s Degree and a valid Nebraska Teaching Certificate (applicable level/area endorsement). Excellent interpersonal and communication skills required, and the ability to work effectively with students, staff, and the community. Description: A special education teacher is needed to work one on one with a 14-year old female student who is attending the 8th grade at a regular school in Bahrain. The special education teacher will utilize her skills and practical experience to help the student achieve her fullest potential while focusing on her emotional, mental, physical and social developmental needs. She is expected to structure regularly scheduled short study sessions with the student at home and work with her in the classroom at school. This individual will work as a team member with other individuals by scheduling regular consultation with school administrators, parents, and other staff members to evaluate individual progress and plan customized lessons as needed. This person will also act as a resource specialist working one on one with the student while consulting with classroom teachers and ongoing programs taking place at school. Requirements: This position requires a Masters in Special Education and at least 2 years of experience working in the field. Experience working abroad is a plus and cross cultural sensitivity is a must. Benefits: Salary is commensurate with experience. A generous benefit package is available along with a paid return ticket to the US once a year. The position offers fully paid accommodation. A Better Chance School uses a holistic approach to the education of our students. Our students are educated through the development of their physical, emotional and intellectual selves. Have the opportunity to be creative. Be a part of a school that uses only positive programming. Be a part of a family atmosphere. Be a part of a 25 year old distinguished program. You will work in a beautiful new building. You will be a team leader. Provide overall leadership, direction and decision making for a California Department of Education certified non-public school serving with autism spectrum disorders and related disabilities ages five through twenty two. Provide oversight of contractual and financial operations, and compliance with all legal, regulatory, and Board of Director mandates. Maintain operational systems that assure efficient and effective operation of programs and provide relevant data for evaluation. Develop, track, and evaluate program goals. Develop and implement individualized education and behavioral programs utilizing a variety of methodologies. Provide day to day supervision to school staff of forty, identifying areas for intervention and the development of strategies to improve staff and program performance. Perform program reviews and staff development training programs for a range of needs including behavior management, functional analysis, and positive programming. Develop and implement Functional Behavior Assessment and Intervention Plans for all students. Serve on Executive Leadership Team and Clinical/Risk Assessment Team for the California Autism Foundation. Develop and coordinate a relevant California standard based curriculum. Provide ongoing orientation and training to classroom staff regarding all educational components of classroom programs. Develop, manage and implement educational and related reports. Maintain educational records and complete required educational assessments. Prepare and coordinate student, classroom and staff schedules. Responsible for interviewing, hiring, orientating, training and supervising classroom staff. Develop and deliver training curriculum for families, care providers and 300+ Foundation staff. This position requires a Master's degree in Education, Special Education, Psychology or other related field. Possession of, or ability to obtain prior to employment, a valid California Special Education Credential is required. Minimum of 5-7 years of relevant experience, working with individuals with severe disabilities and challenging behaviors in a classroom setting. Working knowledge of Microsoft applications such as Word, Excel, Outlook, and PowerPoint. The ideal candidate will have extensive leadership experience in special education and a creative, entrepreneurial spirit. Cover letter stating reasons for application and summarizing candidate's qualifications. 3-5 current letters of recommendation. Position is full time with competitive wages and benefits package. Please include all information listed above and email to: vmerritt@calautism.org. / Valisha Merritt – Human Resources Director or fax to (510) 758-1040. California Autism Foundation is an equal opportunity employer.